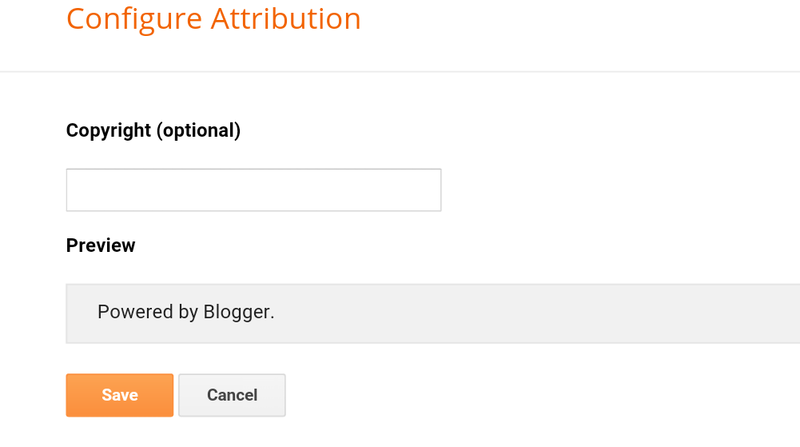 All the blogger blogs will have an Powered by blogger attribution. Do you want to remove the Powered by blogger attribution & tired of doing so. Then this post will help you to remove the “powered by blogger” attribution. It is not possible to remove the powered by blogger attribution because when you edit the widget you will not see any remove option. As you can see in the above picture, there is no option for removal of attribution. But you can add remove option by simply editing the attribution HTML code. Just follow the below procedure. Go to your blogger account & select your blog. Go to template & select edit Html. Now select the attribution Html code. As you can see attribution is locked. Now Change the code from locked = ‘true’ to locked = ‘false’ & Save the template. After changing the attribution html code you will get remove option in the attribution widget. Note : This tutorial is just for information purpose. we are not forcing any one to remove the attribution.As the terms & condition of blogger.com users must use the attribution & must not remove the widget because this shows the free platform is owned by blogger & it is copyright free. This is huge information.thank you.. I just want to tell you that I am just all new to blogging and certainly savored this blog. Most likely I’m going to bookmark your website . You absolutely have tremendous writings. Thank you for sharing your web-site. I just want to tell you that I’m all new to weblog and definitely savored you’re web site. Very likely I’m planning to bookmark your site . You certainly have impressive stories. With thanks for revealing your webpage.